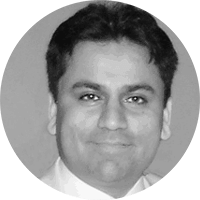 Mr Rana Das-Gupta is a fully UK accredited NHS Consultant Plastic and Reconstructive surgeon at The Warwickshire NHS Trust. He holds Consultant posts at University Hospital Coventry, Warwick Hospital, George Eliot and Stratford-Upon Avon NHS Hospitals as Consultant Plastic Surgeon. He is also an Honorary Associate Clinical Professor of Plastic Surgery at the University of Warwick, and is engaged in founding the new Plastic Surgery MSc degree course. 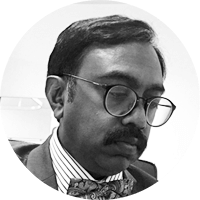 He is Secretary of the West Midlands Plastic Surgery Training committee, and the National Selection committee for plastic surgical trainees, and sits as a member of the GMC (general medical council) appeal panel to review applicants for the UK specialist register. 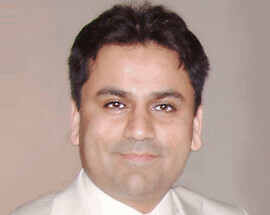 Mr R Das-Gupta is a full member of UKAAPS. Mr Shahzada Ahmed, Consultant ENT and Skull Base Surgeon, graduated from The University of Birmingham Medical School and obtained Higher Surgical Training in Hospitals in the West Midlands.He undertook advanced training in sinus and nasal surgery in South Africa, America, Germany and Switzerland, and then spent a year on an advanced rhinology fellowship with world renowned surgeons at Queens Medical Centre, Nottingham before he was appointed as Consultant ENT and Skull Base Surgeon at Birmingham’s Queen Elizabeth Hospital NHS Trust in 2010. 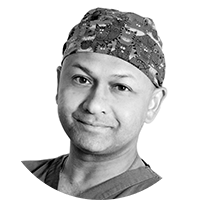 As one of the UK’s leading rhinologists he specialises in all aspects of advanced sinus surgery and nasal surgery for both function and cosmetic including rhinoplasty, septorhinoplasty and revision surgery. Mr Ahmed sees many patients with nasal and sinus symptoms who do not need surgery and runs a nasal allergy service offering desensitisation in selected patients. 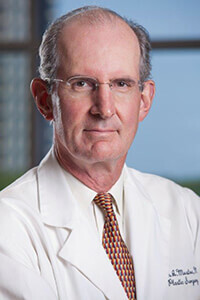 Thomas Mustoe MD, is board certified in both plastic surgery and otolaryngology. He formerly was the Orion Stuteville Professor and Chief of Plastic Surgery at Northwestern University. He has been conducting NIH and Dept of Defense funded research on wound healing and scarring for over 20 years with a focus on clinical relevant animal models and translational research. He has served on multiple editorial boards in surgery, plastic surgery and wound healing journals, and co-authored more than 200 peer reviewed articles.. He has served as a member and Treasurer of the Board of Directors of the American Board of Plastic Surgery. He has received the Lifetime Achievement Award for the Wound Healing Society, and served as a Past President. He is currently affiliated with Northwestern as clinical faculty. 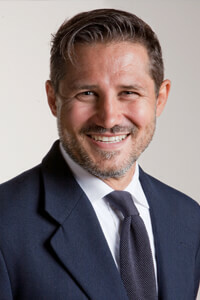 His practice is focused on facial aesthetic surgery. He has served as visiting professor at multiple institutions with clinical interests in surgery related to the aging face and rhinoplasty, and has co-edited a book on facial aesthetic surgery, as well as several peer reviewed articles on his techniques in facelift. Clinical Professor at the University Vita e Salute San Raffaele, Milan. Specialist in Plastic and Reconstructive Surgery. Clinical Professor for the Chair of Maxillofacial Surgery at the University of Bicocca, Milan, performing rhinoplasty in malformed. Author of over 120 scientific publications, abstracts, conference proceedings.Member of the SICPRE, AICPE, ISAPS and DASIL. 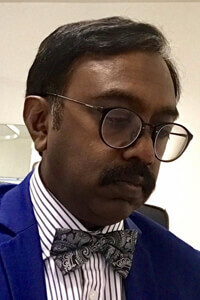 Member of the European Academy of Facial Plastic Surgery, teacher and tutor in live and dissective surgery courses on face, both in Italy and abroad. Travel mentorship for the ASDS. Co-author of the book "Aesthetic Mammaplasties Practical Atlas of Plastic Surgery" published by See Florence 2008, and the book "Mid Face and Neck Aesthetic Plastic Surgery”, published by See Florence 2011. Author of the book "Rhinoplasty – practical atlas" published by See Florence 2014. Pietro Palma graduated at the University of Bologna, and got the specialization in Otorhinolaringology/Cervico-Facial Surgery at the University of Sienna. 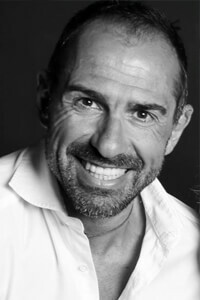 Pietro Palma has been co-founder of the “Italian Society of Facial Plastic Surgery”. www.aicef-chirurgiaplasticafacciale.it serving as the President from May 2004 till May 2010. 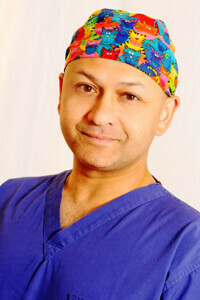 Since December 2002 he is appointed as a consultant surgeon, ENT Dept. of the University of Insubria-Varese (Director: Prof. Paolo Castelnuovo). Since 2005 he has been appointed as a Clinical Professor. In 2006 he got the position of Clinical Professor also at the Faculty of Dentistry. Pietro Palma is a world recognized rhinoplasty surgeon and lecturer and has been invited to lecture and operate in courses and meetings in: Austria, Belgium, Brazil, Chile, China, Colombia, Croatia, Czech Republic, Denmark, Egypt, Finland, France, Germany, Great Britain, Greece, Hungary, India, Iran, Ireland, Israel, Korea, Kuwait, Lebanon, Lithuania, Mexico, Morocco, Norway, Peru, Poland, Portugal, Romania, Russia, Serbia, Singapore, Spain, Switzerland, Thailand, The Netherlands, Tunisia, Turkey, Ukraine, UAE, USA and Venezuela. In 2001 he established with Prof. Paolo Castelnuovo the “Biennale International Milano Masterclass” www.milanomasterclass.it. The last edition was attended by more than 600 participants coming from 67 different countries. 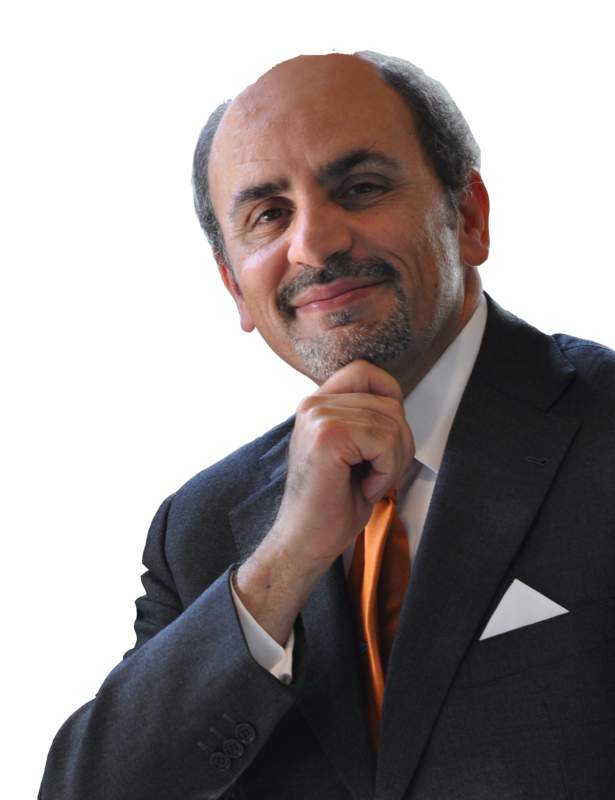 Pietro has published numerous scientific papers, mainly covering the topics of rhinoplasty. He co-authored two textbooks, and authored several chapters in reference international textbooks. Pietro is Co-Editor of Rhinoplasty Archive www.rhinoplastyarchive.com, and former editorial member for 10 years of “JAMA Facial Plastic Surgery”. Francesco Pietro Bernardini completed his two-year fellowship training in Cincinnati (1998-2000). Dr Bernardini established his Private Practice "Oculoplastica Bernardini" based in Genova with satellite in Roma, Milano and Torino. He has published more than 50 scientific papers and is part of the editorial board of OPRS (Ophthalmic Plastic and Reconstructive Surgery Journal). Dr Bernardini is also member of the ASOPRS (American Society of Ophthalmic Plastic and Reconstructive Surgery) and full member of the ESOPRS (European Society of Ophthalmic Plastic and Reconstructive Surgery). The Conference will take place in the lecture theatre, located in the Clinical Sciences Building (CSB). 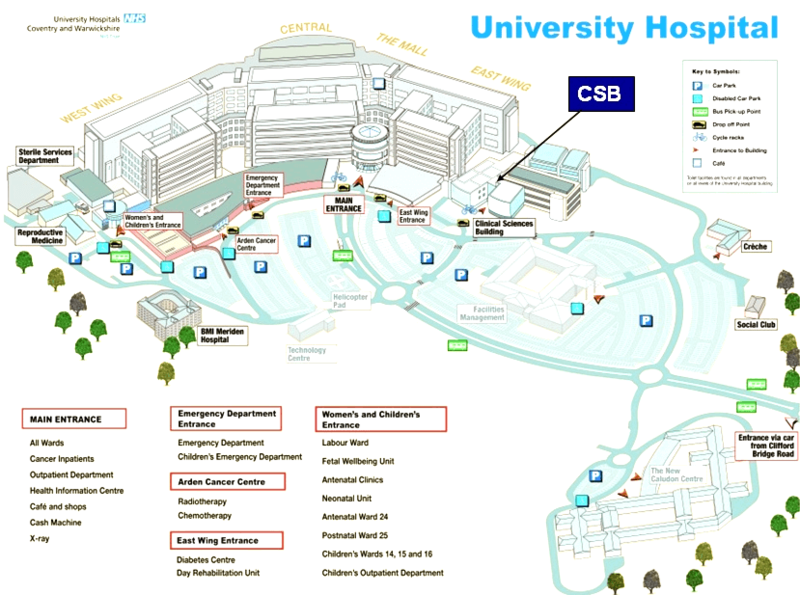 UHCW is one of the largest and busiest NHS University Teaching Trusts in the country. We have a large new hospital, a fine Clinical Sciences Building, a state of the art Surgical Training Centre and an enthusiasm for medical education. We have an exciting partnership with Warwick Medical School which is based in one of the UK's foremost universities, to combine excellence in teaching and research with the highest quality medical education across a range of innovative programmes. The hospital is situated on Clifford Bridge Road, Walsgrave, Coventry, CV2 2DX. The Surgical Training Centre (STC) has been created to support regional, national and international surgical training. It provides the ideal environment for surgeons to learn operative techniques on cadaveric material in realistic operating theatres. It can cater for arthroscopic and endoscopic as well as open surgery on any part of the body. Cadaveric surgery in the STC will be an integral part of the surgical training process. In particular, it will help us to achieve our vision that trainee surgeons should never do an operation for the first time on a living person. At an earlier stage in training, medical students and junior doctors can use the STC, and the plastinated human dissections housed within it, to learn clinical anatomy. a surgical room with eight operating theatres. a briefing room and lecture theatre for up to 30 participants. storage for cadaveric material, plastinates, and surgical equipment. The West Midlands Surgical Training Centre is located in the University Hospital of Coventry and Warwickshire NHS Trust. The facility operates according to the Human Tissue Authority code of practice and is licensed for the use of human tissue for surgical training and anatomy, and future plans for a whole body donation programme. The large surgical room is set up with eight operating stations, each one simulating a self-contained operating theatre. Every station includes a bespoke mobile operating table with electric height adjustment, integrated fluid drainage, and interchangeable radiolucent table tops for different types of surgery. Operating lights, video cameras and flat screen monitors are mounted over the tables. On the wall at each station is a 'stack' with arthroscopic cameras, light sources, shavers and power tools. Each station has multiple power sockets, data ports, an adjustable pressure water supply, suction and free drainage. At the front of the room is a large teaching screen for presentations or to view video from any of the stations. This – or any other video feed – can also be shown on repeater screens arranged around the room. The principal instructor can use audio enhancement with a hands-free microphone, and manage presentations, video feeds or a video conference with a wireless control while moving around the room. Disc recorders allow participants to take home a DVD record of their training. A two-way AV link to the adjacent lecture room, operating theatres and the internet allows fully flexible integrated programmes and even virtual presence for distant trainees or course delegates. Warwick Medical School is the first in the UK to be equipped with plastinated specimens for anatomy teaching. The School secured £500,000 funding from the Strategic Health Authority to purchase the educational specimens from Gunther von Hagen’s laboratory in Germany. Dr von Hagens’ plastination technique involves removing body fat and water and impregnating a polymer to preserve the body or body part. The preservation is of the highest quality, so that they can be used for medical education and surgical training. Shakespeare fans will relish the chance to walk in the bard’s footsteps: visit the timbered home where he was born at Shakespeare’s Birthplace (link is external); explore the house where he courted his wife at Anne Hathaway’s Cottage, and pay your respects at his final resting place in the Holy Trinity Church. The hotel is set in the tranquil Warwickshire countryside. With 500 acres of parkland, formal gardens and a peaceful lake, you can explore the outdoors and then retire to our restaurant, bar or relax back in your bedchamber. We're within easy reach of key M1 and M6 motorways and transport links, as well as being just a short distance from Birmingham, Warwick, and Stratford Upon Avon. Originally founded as an abbey in the 12th century, our historical buildings have had an interesting life. The Abbey was surrendered to King Henry VIII during the dissolution of the monasteries, and the future Queen Elizabeth I even lived here as a child. Our hotel is truly unique, and staying with us means you get a real sense of history. You wouldn't expect any less from former royal residence. The vast medieval fortress of Kenilworth Castle is one of the largest historic visitor attractions in the West Midlands and one of the most spectacular castle ruins in England. Set in vast ground in Warwickshire, Kenilworth is the perfect place for the whole family to go exploring and play king of the castle. Kenilworth is best known as the home of Robert Dudley, the great love of Queen Elizabeth I. Once boasting the finest architecture in Elizabethan England, you can still imagine the ornate palace Dudley created for his Queen in Kenilworth's magnificent ruins today. The authentically recreated Elizabethan Garden, an exhibition dedicated to Elizabeth's visits to Kenilworth, and the castle's very own costumed Queen promenading the grounds at events throughout the year really bring this romantic royal story to life.